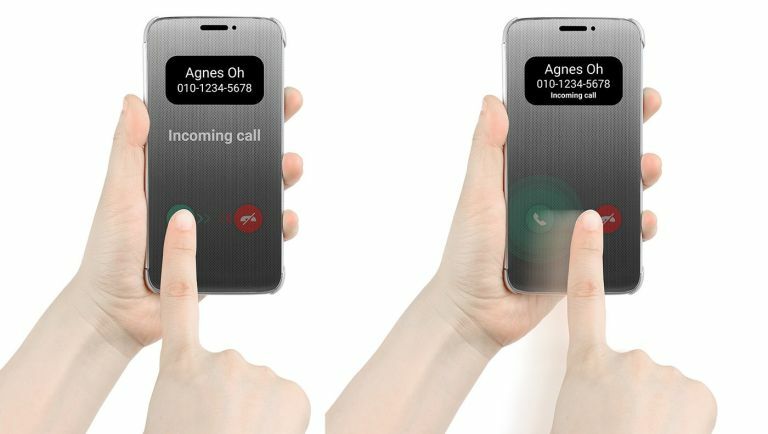 The upcoming flagship device for LG's range of smartphones isn't even due to be officially announced for another week and a half, but that hasn't stopped Joe Public learning that the new handset will offer a touch-enabled One Touch cover and a rather handy 'Always On' display. The weird thing is these details aren't the offspring of another photo or info leak - they're juicy tidbits teased direct from the South Korean firm itself. Of course, such a move has probably been made to directly counteract the inevitable emergence of unofficial photos (hello, Samsung Galaxy S7, how you doing? ), but it's still odd to already know two its brand new features ahead of the official reveal. Much like previous Quick Cover accessories, the LG G5 will enable you to control a variety of features through a cover made of, "a unique film with a glossy metallic finish," such as controlling arms and answering calls. So you'll be able to see your Always On display with all the usual info clear as day, while the rest of your tacticle opions will be available through the body of cover itself. It's actually a pretty neat little feature, but we'll certainly hold back reserving judgement until LG reveals the cover's official price tag. The LG G5 will be officially unveiled on 21 February and will be on display at the Mobile World Congress in Barcealona from 22-25 February. Be sure to head back to T3 in a week and a half for all the latest updates direct from the show.